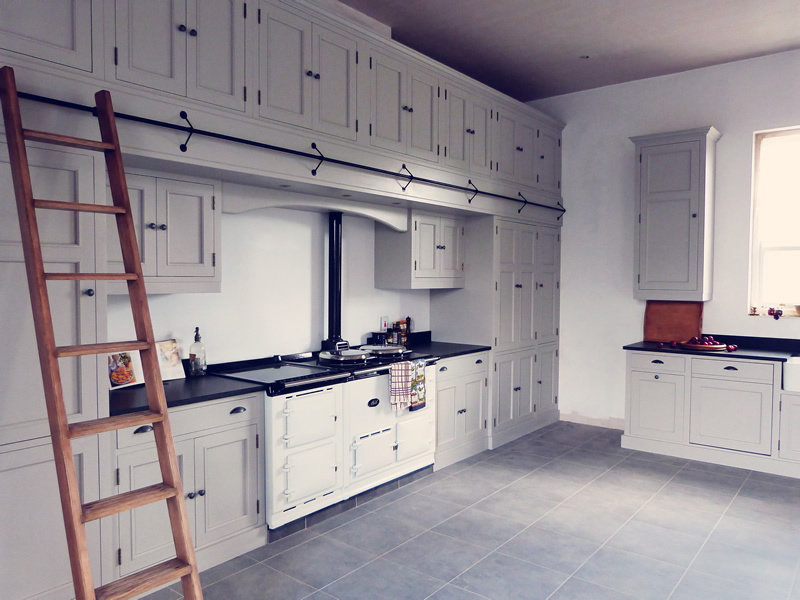 Originally Amber and Nigel were thinking of having a Butler’s Pantry with separate kitchen but ultimately decided to incorporate the two to create a grand impression in this high-ceilinged room. 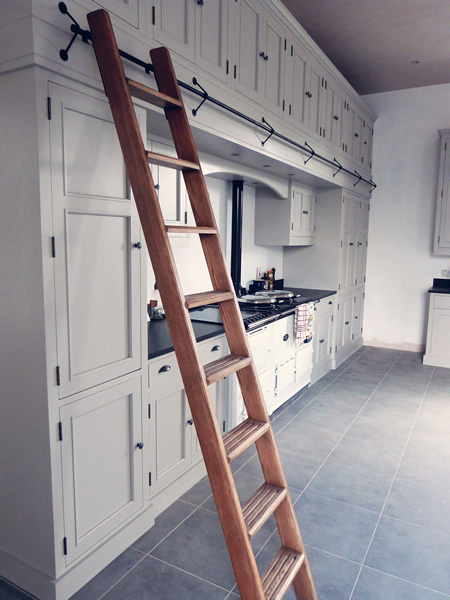 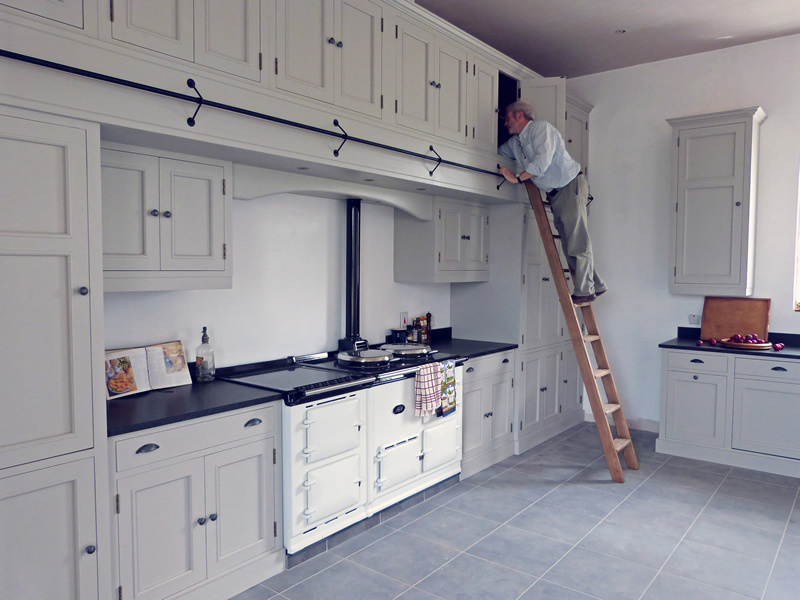 Here the architectural impact of remarkably high cabinets (traditional in a Butler’s Pantry), complete with Ash ladder access, beautifully enhances the grand Georgian proportions of the room. 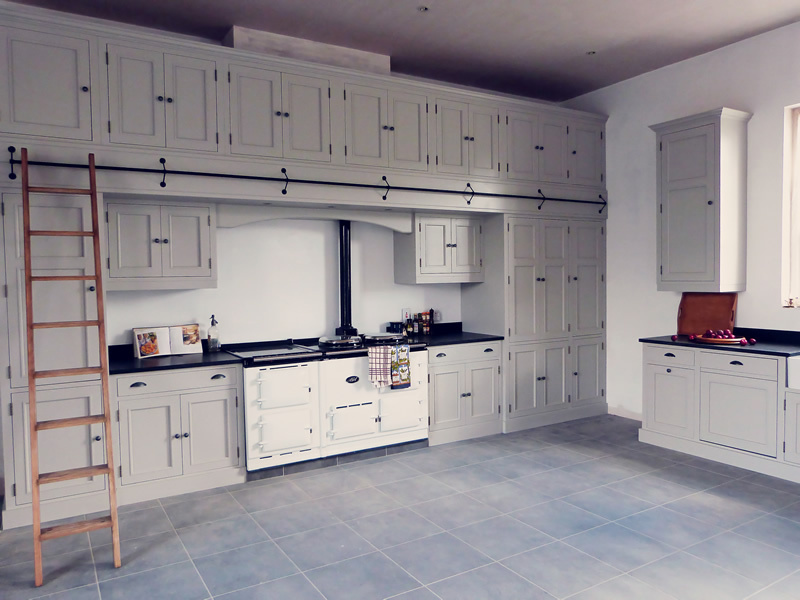 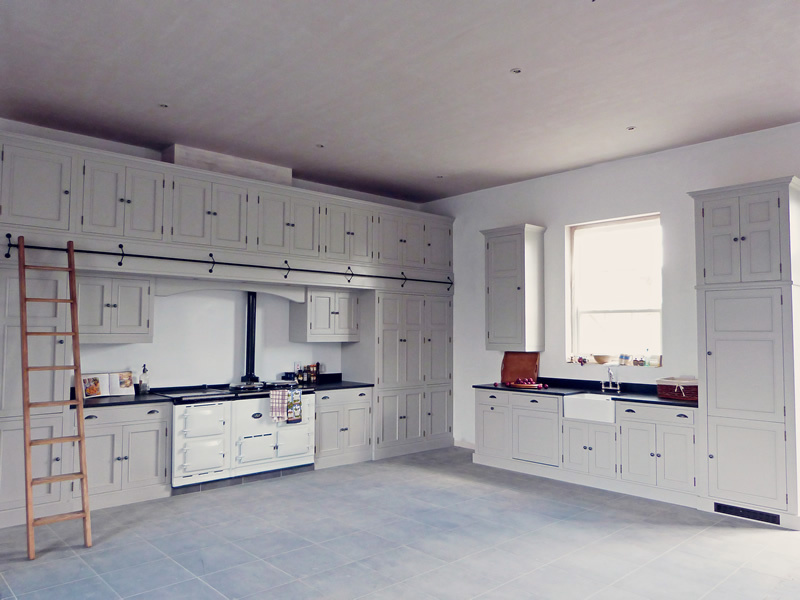 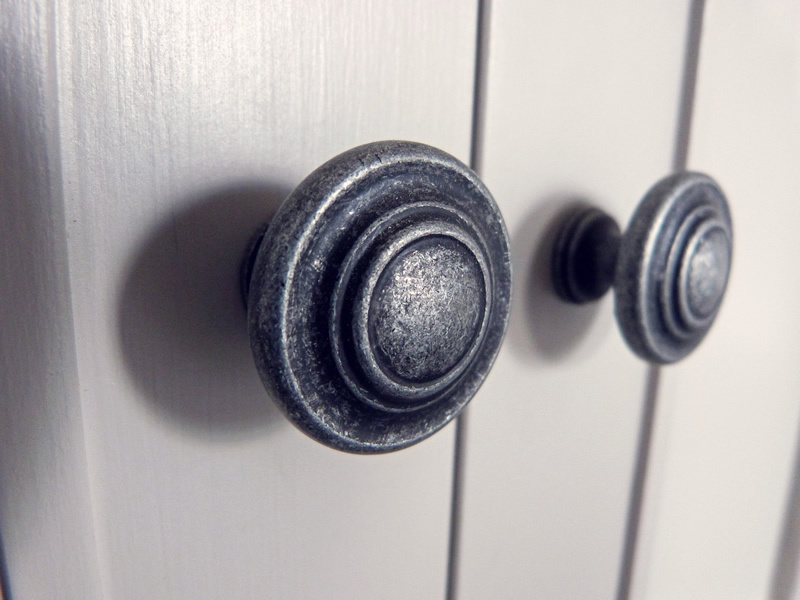 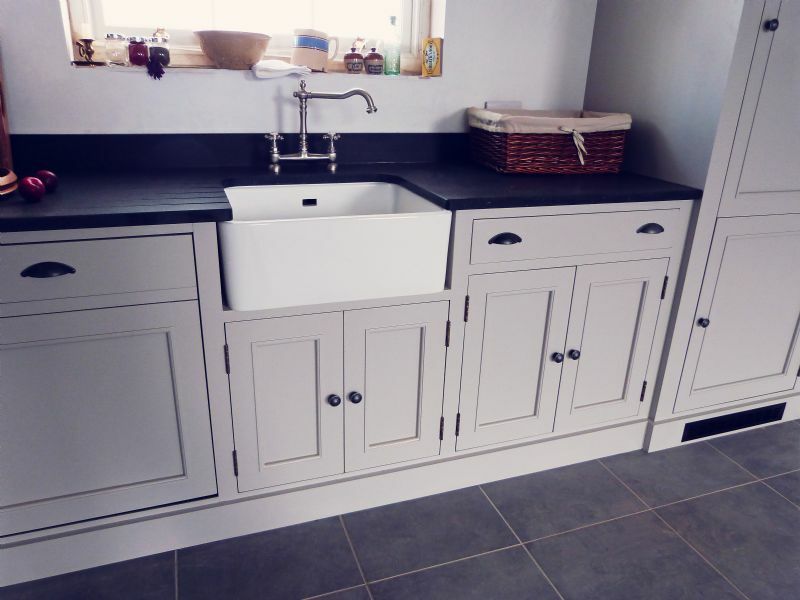 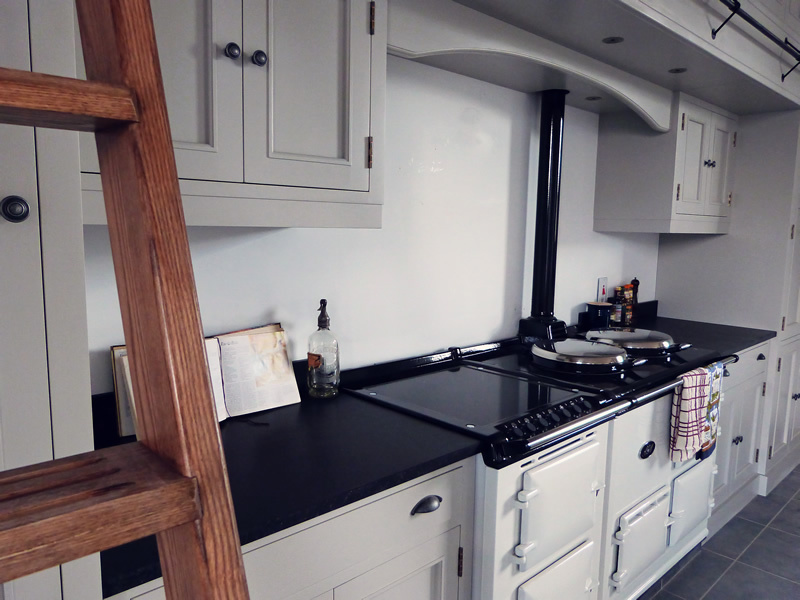 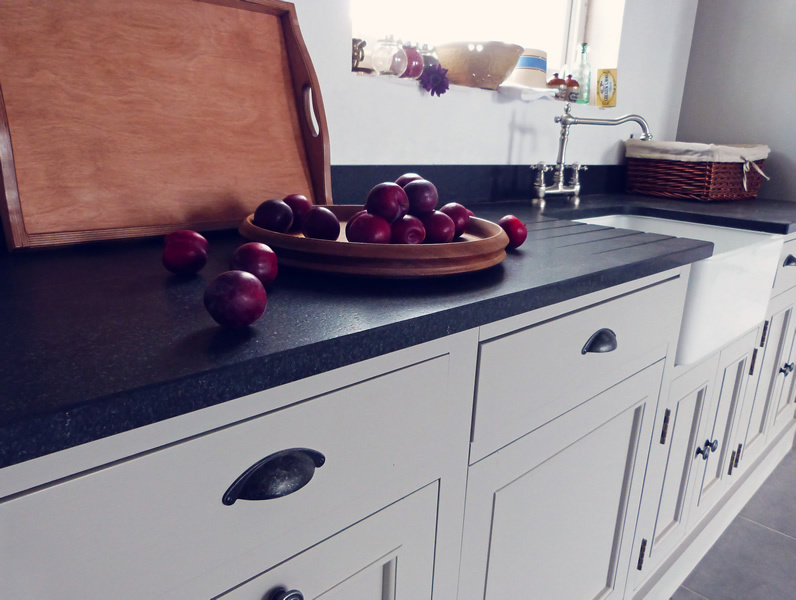 All cabinets were simple but functional in design and were painted in the muted tones of Farrow & Ball’s Purbeck Stone estate eggshell with leather-finish granite worktop. 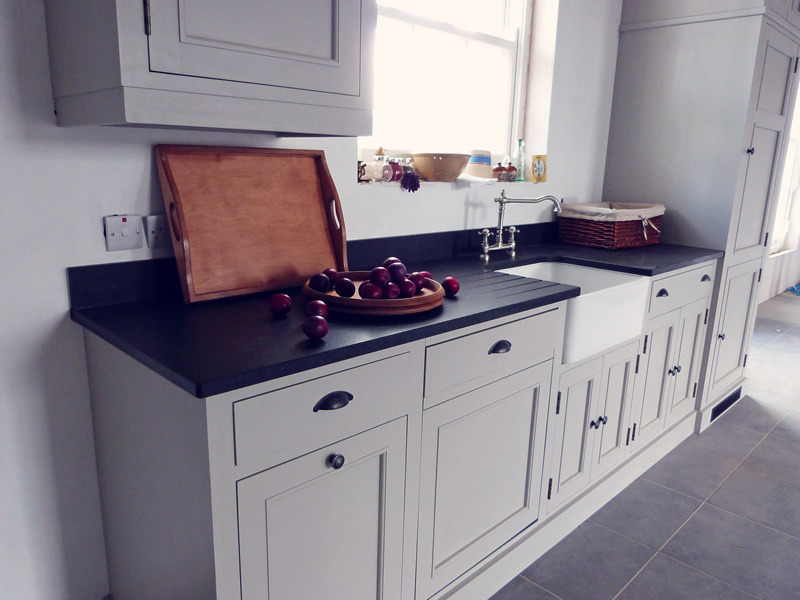 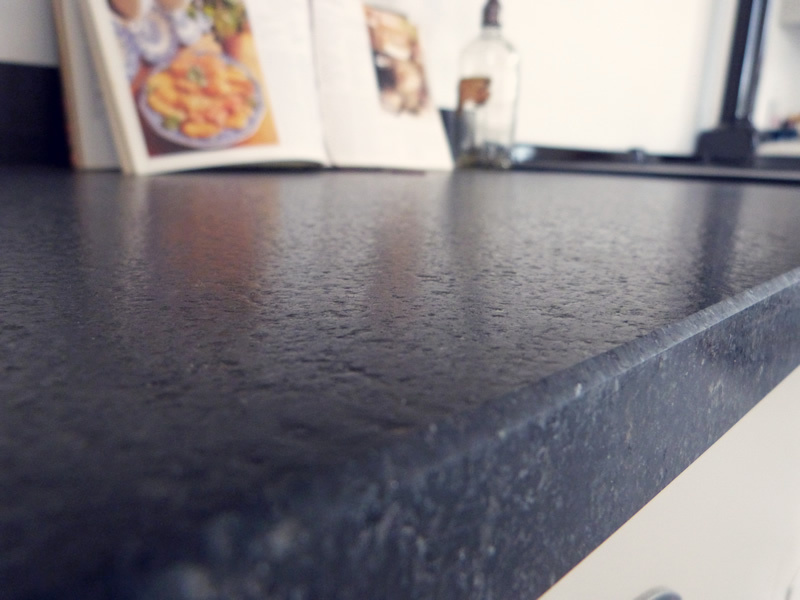 Amber and Nigel have created a superbly impossible-sounding kitchen- traditional but modern, grand yet beautifully understated.